This elegant twin frame from Transomnia is just right for larger photos such as group shots and family gatherings. It is vertical in orientation, lending itself to portrait shots. 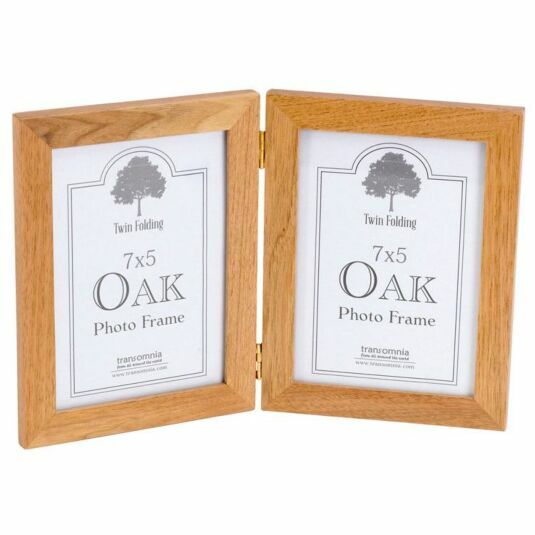 The two chunky frames are made from tasteful light oak with an attractive grain. The frames are attached to one another by two gold toned hinges and contain protective glass to preserve your precious photos. The frames are freestanding and have removable backs. An attractive contemporary item which will grace any home.